Hello everyone, and welcome to the week! It’s time once again for our look back at the noteworthy updates of the last seven days. I’m trying a slightly different format this week to cut down on some of the clutter. Let me know if you like it. Of course, you can keep an eye out for updates yourself using AppShopper Social (Free), the watchlist in the TouchArcade App (Free), or by participating in the TouchArcade forums, but this weekly summary is here to fill in the things you might have missed. Let’s dig in! Towelfight 2, Free Butterscotch Shenanigans’ Towelfight 2 kicks us off with an update that overhauls the controls, updates the UI, adds an in-game shop where you can buy coins and a doubler, and improves performance all-around. Quadropus Rampage, Free Also from Butterscotch Shenanigans, Quadropus Rampage‘s update adds the new BscotchID system to the game. This allows for cross-game friends, leaderboards, cloud-saving, and so on. Any excuse to fire this game up again! True Skate, $1.99 True Skate adds a new skatepark to its assortment called The Valley. This update also addresses some bugs, particularly involving progress loss. Those are basically the second-worst kind of bugs, so it’s good to see them squashed. Dungeon Quest, Free There’s a new level of item rarity in Dungeon Quest now. Legend items have a chance of dropping as Eternal Legends, doubling their power. There’s also a new tutorial system for each new character you play as. Balancing of rewards has also been tweaked. Zen Pinball, Free Zen Pinball has two new tables among its massive assortment. Wild West Rampage and CastleStorm can be purchased within the app for $0.99 each. Both tables are really fun, and I’m always in favor of more Western-themed pinball games. Kingdom Rush Origins, $2.99 Kingdom Rush Origins has three new stages in the Howling Moors, complete with four new enemies including a new boss. To help you stand against such evil, there are two new heroes available. Razz & Rags is a free hero, a gnome riding on top of his huge buddy. The crystal elemental Durax, on the other hand, will only join you if you pay some real money. PAKO - Car Chase Simulator, $1.99 Pako offers up a new stage, the Airport, and some new songs. The new level is pretty wild, featuring deadly action on the runway among the jumbo jets. As usual, no IAP. Atari's Greatest Hits, Free Atari’s Greatest Hits was another one of iOS 8’s victims. Great retro game collections should be forever, and while no one knows what the future might hold, this app is at least good to go for the present thanks to this update. Sadly, it seems that fixing compatibility was the only thing on the agenda, but it’s still appreciated. Front Wars, $3.99 Front Wars, a game that has totally never heard of Advance Wars, why do you ask, gets a pretty sizable update this time around. The new Axis campaign offers up 15 new missions, and there are two new multiplayer maps to play around with, too. Two great additions! That’s like a Dual Strike! 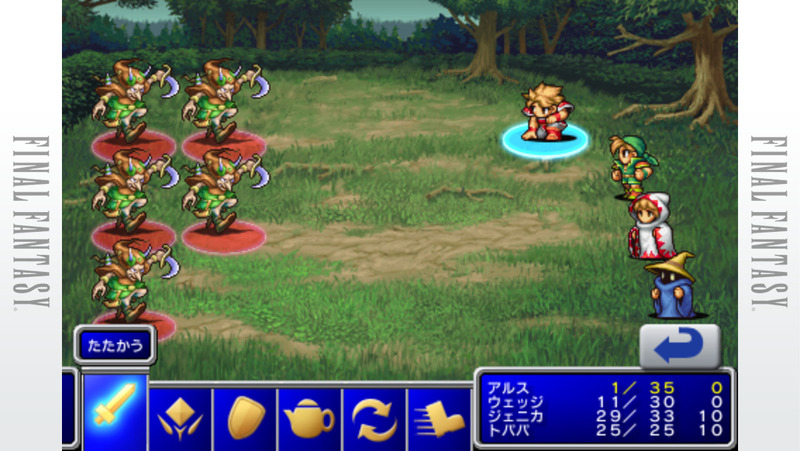 FINAL FANTASY, $7.99 Final Fantasy has needed a pretty big update for some time, now. It wasn’t broken, but it was badly outdated in many ways. Well, it still needs an update, but at least it’s a universal app now, and check out those sporty borders. Not a fan of the new floating dpad, though. Bad Piggies, Free Bad Piggies adds a new sandbox level called Little Pig Adventure. Ahh, Rovio, you rapscallions! There’s also a new part, the gearbox, that allows you to build contraptions that can go forward and in reverse. I’m not comfortable with the speed at which these porcine dissidents are evolving, friends. Sonic Dash, Free Sonic Dash is going to have some strong competition from its younger brother pretty soon, so it’s beefing up in preparation. The latest update lifts the cap a bit on character upgrades, makes it easier to earn more rings by multiplying the ones you’ve banked, and changes the dash move just a little. Honestly, I used to like this game a lot, but ever since the last big update, I find it too cluttered in every way. 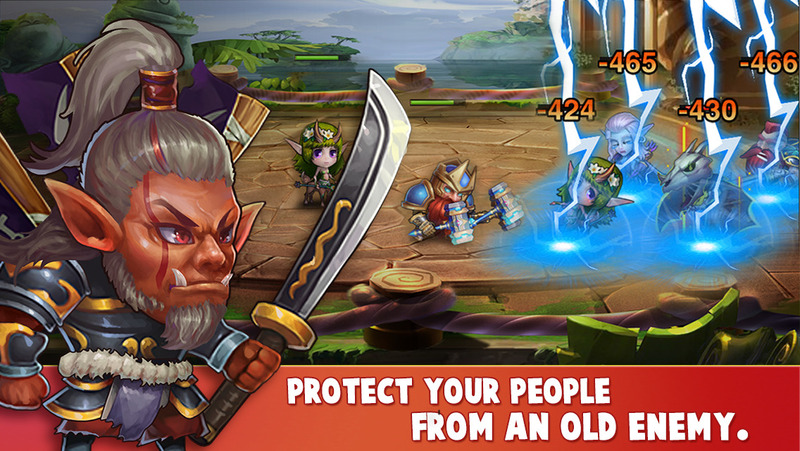 Goblin Sword, $1.99 Goblin Sword is a really cool game, but what to do once you finish it? Well, you can get right back into it now, because this update adds a new chapter with 16 new levels, new bosses, enemies, weapons, relics, costumes, achievements, and tips for winning the lottery. Wait, maybe not that last one. All of that plus leaderboards for the time trials, MFi support, and a bunch of other tweaks. This is probably my favorite update of this week. Vigil RPG, $0.99 The latest update for the streamlined faux-retro Vigil RPG is a small one, but a decent one. 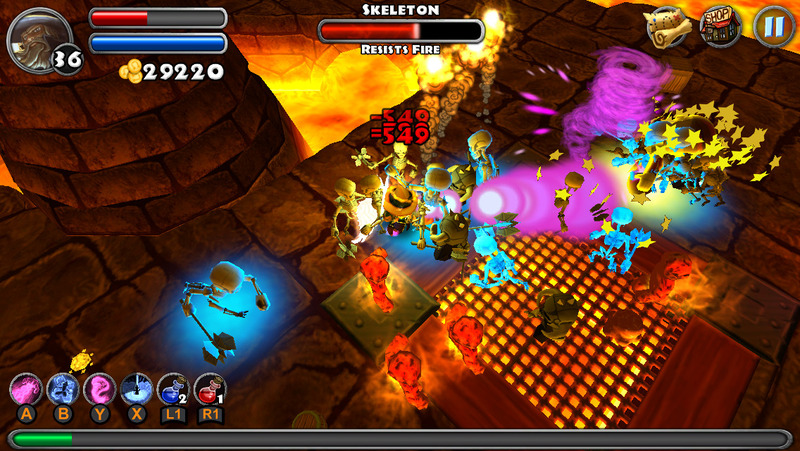 Battles now have more sound effects than before, with new sounds for spells and special effects. That’s all, but hey, at least one of your five senses is happy right now. Adventure To Fate : Battle Arena JRPG, Free Okay, I know this was last week, but I missed the last update for Adventure To Fate: Battle Arena because of a glitch, and it’s a pretty major one so I’m sneaking it in here. That’s the kind of thing you can do when you work on Sundays. This update added a new race, the Moon Elf, made UI improvements, and sorted out a few bugs, some of which were found by members of our very own TouchArcade forums. SimplePlanes, $4.99 In the new version of Simple Planes, there’s a new surface-to-air missile challenge, two new engine types, and aircraft carriers. No word on if those carriers are simple or not, but I assume so unless there’s some sort of adapter they’re using. Space Agency, $1.99 Space Agency adds a ton of new stuff in its latest version, with new missions, new parts, the ability to model interiors, improved controls, better tutorials, and so on. Numerous bugs have been fixed, a quick play mode has been added, landing is a lot easier, and hey, checkpoints. Those are nice. All Star Quarterback, Free The NFL season might be over, but All Star Quarterback plays year-round. The game has been rebalanced to make it more accurate to reality, and the defensive AI and stamina systems have both been upgraded. There’s also a cheap item bundle available as IAP due to it being off-season, so you might want to check that out. Heroes Charge, Free Heroes Charge, apparently. I guess that makes sense, not much room for pockets to carry cash in those costumes. Thanks everyone, I’ll be here all week. Well, anyway, this update raises the team level cap, adds two new chapters, two new difficulty levels, and two new types of hero gear. Twos! Vainglory for iPhone, Free The big addition with Vainglory‘s latest version is the new hero, Celeste, who draws on the power of the stars to attack her enemies. She’s pretty powerful. This update also brings the usual bug fixes, performance improvements, and balancing changes. Mega Run - Redford's Adventure, Free Mega Run was surprisingly popular for a while, though it seems to have cooled off a bit. The new update helps smooth out a few iOS 8 compatibility problems and adds four rare characters to the store for you to buy. There’s also a new feature that gives you free revives, and some bug fixes. MY LITTLE PONY: MAGIC PRINCESS, Free Okay, I have the good fortune of knowing almost nothing about My Little Pony – Friendship Is Magic. Not the show, not the game, none of it. So bear with me here as I try to explain this update from the patch notes. I guess some centaur named Tirek has come to town and even though they’re both equines, the ponies and this centaur hate each other. So you have to gather all of the Gifts Of Friendship and open a Chest Of Harmony and – oh man, I’m in over my head here, I’m bailing out! Assassin's Creed Pirates, Free Phew, now we’re back to something more in my wheelhouse: attacking the French! Just joking! The French are responsible for so much delicious food, how could anyone possibly dislike them? Right then, Assassin’s Creed: Pirates has a new scenario where you need to take out a corrupt French admiral who is planning to plunder the riches of the North Pole. You guys want to break it to him or should I? At any rate, you have to navigate the icy waters, then run through the frozen caves because that’s a thing we do now in this game. Bubble Witch Saga, Free The original Bubble Witch Saga has been getting a fair bit of attention from King recently after a long period of neglect. In the newest version, there’s a new Eternal Isle, performance improvements, and a timer that graciously shows you how long you have to wait for the paywall to fall if you don’t feel like bugging your friends. Blood Bowl, $4.99 Blood Bowl, Carter Dotson’s 2014 Game Of The Year, just got even Carterer. Two new teams take to the field. The Lizardmen and the Dark Elves can be yours for just $2.99 each via IAPs. Lizards playing football, ha. Who’s next, Canadians? 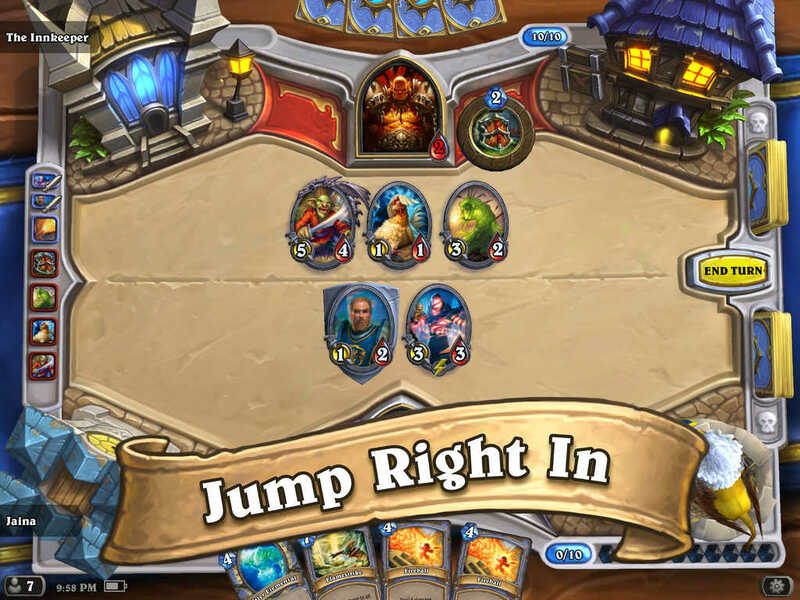 Hearthstone, Free Hearthstone got a pretty small update this time around, but the numerous improvements to the user interface and spectator mode are certainly appreciated. Also, Mimiron’s Head has to be pretty stoked about having a new animation. Nobody is reading this because they are all playing Hearthstone, I think. Darkness Reborn, Free The latest news in Darkness Reborn involves changes to the game’s stat system, specifically to allow stat changes. How about that? You can now strengthen your equipment as you see fit and change the stats to ones that you want. The daily quests have also received some attention, yielding greater rewards than before. Crazy Taxi City Rush, Free Strangely, the Hot Wheels collaboration in the newest version of Crazy Taxi City Rush isn’t the first time SEGA has had a deal with the popular die-cast car brand. The other time involved Sonic, Danica Patrick, and at least half the cast of Space Channel 5. This time, you just get the Bone Shaker Hot Wheels hot rod to play with in the game for a limited time. You have to collect special tokens to win various prizes such as diamonds and dollars. Sounds alright. MARVEL Contest of Champions, Free The big addition to Marvel Contest Of Champions this time around is the ability to form an Alliance with other players. By joining an Alliance, you can socialize with other players and earn crystals that you can exchange for a special hero. This update also adds special rewards for exploring 100% of an act and makes numerous other tweaks. Notably, Gamora got hit with the nerf bat, while Magik, Hulk, and Vision got buffed. Like ol’ Jade Jaws needed a buff. Brave Frontier, Free Brave Frontier‘s starting to get a little long in the tooth, but it’s still a really popular game worldwide. Personally, I bailed on it a while ago, not because I disliked it, but because I can only juggle so many of these kinds of games at a time. Anyway, if you’re still jamming on this, you’ll certainly appreciate the new Raid Battles. You can also do rematches on Trials, and there’s a new 3-key parade event going on. 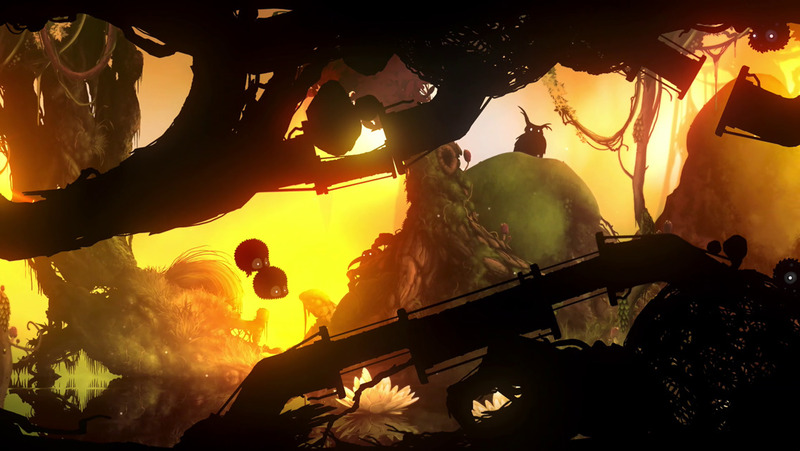 BADLAND, $0.99 Coming up on its second birthday, Badland has averaged an update every month since it was released. Its rare to see such extensive after-release support for a paid game these days. This update lets you play the DAYDREAM levels from the last update in Co-Op mode with up to four player. There are also new missions to clear and a few new achievements to grab. Brothers in ArmsÂ® 3, Free The first big content update for Brothers In Arms 3: Sons Of War has arrived, adding a new story chapter featuring a new character and environment. There’s also a new endless survival mode, and a new weapon class: shotguns. I mean, really, who went to war without their shotguns? That seems like bad planning. World of Tanks Blitz MMO, Free The last couple of updates to World Of Tanks Blitz added a bunch of British vehicles to the game, but it’s America’s turn once again this time around. The magic phrase is ‘Tank Destroyer’, with the M18 Hellcat, T30, and T110E4 joining the ever-swelling ranks. I love that ‘Hellcat’ was such a popular idea with someone that the US military introduced a fighter jet and a tank destroyer carrying the name within two years of each other. Reminds me of the CFL and ‘Roughriders’. Plants vs. Zombiesâ„¢ 2, Free Plants Vs. Zombies 2 continues its Frostbite Caves chapter with 16 new levels, three new plants, and two prehistoric zombies. There’s also a new icy endless zone for you to play around with. Finally, this update also prepares the app for the upcoming Luck O’ The Zombies event that will be running through St. Patrick’s week. We can extend it to a week, right? Would anyone say no to that? Farm Heroes Saga, Free Farm Heroes Saga is going ape with its latest update. There are 15 new levels for you to monkey around in that you won’t be able to say ‘boNObo’ to. You can also collect three new animals for your barrel, including a tamarin, a chimpanzee, and a baboon. That brings the total stage count up to 850, and the animal count up to about 100 more than you would ever see on any farm, I assure you. Clash of Clans, Free When you’ve already leveled up everything else in Clash Of Clans, it only makes sense that the next thing to level up is your clan. By doing so, you can earn new perks that allow you to call in troops more often and increase your loot bonus, among other things. You can also customize your clan’s badge using a badge editor to give your newly-leveled clan a personal touch. There’s no stopping this juggernaut. Looney Tunes Dash!, Free Looney Tunes Dash! has a new episode that sends Daffy Duck to the frigid Yukon. You’ll cross paths with the Abominable Snowman, who will hug you and pet you and call you George. Interestingly, the Snowman’s character is based on Lennie from Of Mice And Men, so it’s Lennie in Looney Tunes. Hey, you guys ever wonder if Lonnie played Looney Tunes? I did. Underworld Empire, Free The latest version of the popular Underworld Empire includes a number of improvements to the user interface, making it easier to reassign your lieutenants and change load-outs, among other fixes. There have also been some performance improvements to cut down on crashing. PokÃ©mon TCG Online, Free Speaking of crashing, it’s Pokemon TCG Online, an app that should be pretty awesome but suffers from such poor stability that it’s really hard for it to shine properly. The latest update attempts to squash a few more outstanding bugs, but by the looks of things, it still has a ways to go. Heads Up!, $0.99 Okay, so Heads Up! is more of a tool to help you save on scraps of paper than it is a game all on its own, but it is awfully convenient to be able to play the classic party game whenever and wherever you might be. This update adds two new decks, available via IAPs: one based around fruits and vegetables, and the other based on Friends. Could this update be any better? Football Manager Handheld 2015, $8.99 Football Manager Handheld 2015 has a metric ton of fixes in this, its first big update. The most obvious changes include allowing rotation on iOS 8, a 1080p skin, and updated translations in various languages, but there are dozens of other fixes here, too. If you were taking a break on Football Manager because some things weren’t working properly, you might want to take a look at it again. Candy Crush Saga, Free Candy Crush Saga has two different maps to play on. The regular mode has over 800 levels or something by now, but the Dreamland mode is up to 575 levels on its own with this new update. 15 new levels, not that any of us will see them anytime soon, I’m sure. Peggle Blast, Free Peggle Blast brings this horrifically long list to a close with a new episode featuring 15 new levels and a new Peggle Master, Buddy the Turtle. Buddy has a draggable bucket as his special move, allowing you to catch your ball to launch a huge explosion. This episode also introduces warp holes, in case you missed those from the original.